The ride sharing service Uber has been in San Diego almost since the app’s very beginning. Ride sharing has become one of the most popular ways to carpool, with the conveniences of real-time service, low prices, and plenty of rides available in San Diego. When riders get into Uber vehicles, Taxi, or other ride sharing services like Lyft, they never expect the ride to end in a car accident. Yet these carpool drivers, just like others, make mistakes. There have been many local instances of vehicle collisions, with bicyclists, and more. If you’ve been in an Uber or other ridesharing service accident in San Diego, come to Estey & Bomberger, LLP for help. Uber maintains an insurance policy that covers rideshare driver-partners and passengers in certain circumstances. According to the website, Uber’s insurance policy provides at least $50,000 in injury liability coverage per person, $100,000 per accident, and $25,000 for property damage while a driver is online, logged into the app, and waiting for a ride request. Once the driver accepts a ride request, Uber’s insurance policy covers liability to third parties, injuries due to uninsured/underinsured motorists, and comprehensive coverage if the driver’s personal insurance has this coverage. After the driver picks up the passenger, Uber’s insurance coverage increases to $1,000,000 minimum total liability coverage. With a rider in the vehicle, Uber’s insurance will cover the same things as when the driver is on the way to pick up the rider, only it will extend coverage to the rider. The rider is eligible for at least $1,000,000 for bodily injury and property damage where another party is at fault. There is also contingent collision and comprehensive coverage in the event that the Uber driver is at fault for the wreck. What Do I Do After a Ride Sharing Accident? If you get into an accident as a rider in a San Diego Uber, Lyft or Taxi, the first thing you should do is ask the driver to pull over if he/she hasn’t already and report the accident to the police. In California, it is mandatory to report an accident if it causes death, injuries, or more than $1,000 in property damage. When in doubt, call the cops. Check yourself for injuries before checking others to see if they have any. Ask the Uber driver to report the crash to the company. Riders also have the ability to report an accident through the company’s app. You can access the Uber site at help.uber.com. Once you receive medical attention for injuries, report your accident to the ride sharing company. You should hear from Uber’s insurance company shortly after. After an investigation into the crash, you may receive a claim settlement offer from the insurance claims adjuster. Before you say yes, call Estey & Bomberger, LLP and discuss your case. 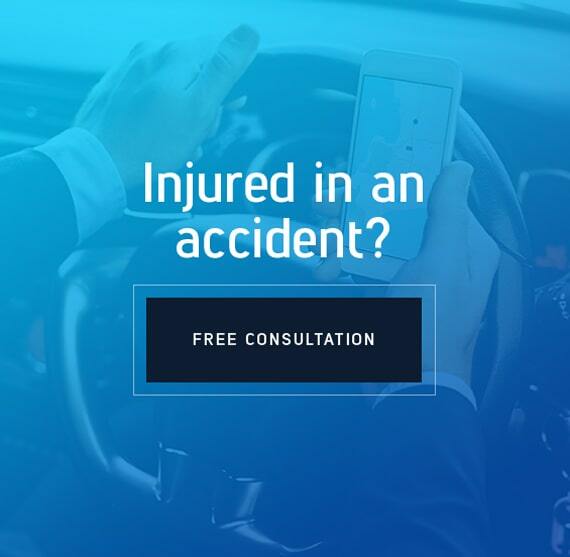 Our Uber accident lawyers have experience dealing with the company’s insurer and know they are prone to offering less than the actual value of the damages. Our team can negotiate with Uber’s insurance company to maximize a settlement. Contact our San Diego Uber Accident Attorneys – Free Consultations! If negligence on the part of the Uber driver, Uber, or a product manufacturer contributed to the accident, you could be eligible for compensation through a personal injury claim instead of an insurance claim. In this case, our attorneys are more than happy to file your claim with the San Diego courts and go to trial if necessary for fair compensation. To talk to an attorney about your recent Uber accident, call our San Diego office at (619) 295-0035 or get in touch online.